Read on for more information about how Nepean Tutoring can help your child to achieve a ‘world-class’ HSC credential. You may have heard the news – for the first time in seventeen years, changes have been made to the NSW school curriculum. 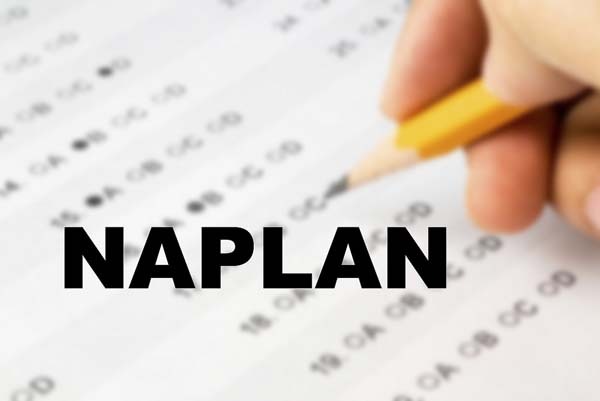 These changes require students to achieve a Band 8 or higher in their Year 9 NAPLAN results, to be eligible for attaining their Higher School Certificate (HSC) upon completing their Year 12 studies. “The state’s 70,000 HSC students will have to achieve a pass mark in numeracy and literacy to be awarded the world class credential under the biggest overhaul of the end-of-school exam in 17 years…Education Minister Adrian Piccoli…said Year 9 students next year would be the first to be measured for the standard when they sit the National Assessment Program Literacy and Numeracy tests.” (‘Tough new HSC rules to test 70,000 students’, The Daily Telegraph, July 19th 2016). That means these changes will be relevant to students in Year 9 this year. The NAPLAN assesses students’ current skills in reading, writing and numeracy. These are foundational skills important to academic success throughout high school and tertiary schooling, as well as in the workplace, as the Education Minister reported to the ABC when introducing these new minimum standards, “So when you walk into a training provider or a university or an employer and you give them your HSC, they know that you’ve met a minimum literacy and numeracy standard.” (‘HSC revamp: New test to set minimum standard for literacy, numeracy in NSW’, ABC, July 19th 2016). For modern-day students, these basic skills and the ability to adapt them to new information is critical in all aspects of life. However, in the school system with ever-growing class sizes, teachers may find themselves limited in the individual attention they can provide to children, who are often each at different stages in their learning process. According to the Sydney Morning Herald and the Board of Studies, Teaching and Educational Standards respectively, according to 2016 NAPLAN results, ‘half of NSW students would fail the first HSC test’ and ‘about 24% of Year 9 students are at or below the national minimum standard for Reading and about 19% are at or below the standard for Numeracy.’ A view frequently taken is that these students simply ‘fall through the cracks’. At Nepean Tutoring, we do not believe that this is so. A company founded on the basis of an inherent belief in the potential of NSW students, Nepean Tutoring provides one-on-one support for students that improves not only literacy and numeracy skills, but nurtures confidence that makes independent learners, who believe in their own ability to understand and apply their learning. With the pressure of exams like NAPLAN, this is just as important as knowing the content being assessed. At Nepean Tutoring, our approach is a comprehensive one and our experienced tutors have themselves excelled in their fields of study. Our tutors offer students an opportunity to engage with class material outside of the distractions of the classroom, to learn at their own pace, and to identify and improve on their specific strengths and weaknesses, which can make all the difference in pushing their marks into the top NAPLAN (and later HSC) bands. As the Organisation for Economic Co-operation and Development (OECD) reports have showed in the past, tutoring can help struggling students catch up and advance those students already excelling. It is never too early to start, as a good grounding in literacy and numeracy skills puts students in good stead for NAPLAN and HSC success. Contact us today for more information on how we can help your child to succeed, and build confidence in themselves as 21st century learners.